Although Thomas Hardy has made his mark in English literature chiefly as a poet and novelist, his short stories are well-crafted, tightly organized prose vehicles for Hardy's characteristic irony, albeit communicated more powerfully in such novels as The Mayor of Casterbridge and The Return of the Native. Although Hardy is best remembered as the author of the Wessex Novels, especially Tess of the D'Urbervilles (1891), his first published work, "How I Built Myself a House" (Chambers's Journal: 18 March 1865), was neither a novel nor a poem, but a sketch, a species of short story. During his career as a short-story writer (which, at approximately 25 years, is of the same span as his career as a novelist) he produced fifty such works," equivalent in length to four or five of the same author's novels" (Page 75). Of these fifty-odd stories, seven appear in Wessex Tales (1888), ten in A Group of Noble Dames (1891), sixteen (including the seven framed tales in A Few Crusted Characters) in Life's Little Ironies (1894), and twelve in "A Changed Man" and Other Tales (1913). Significantly, all of these stories first appeared, like a dozen of Hardy's novels, in English and American periodicals such as The Graphic and Harper's Weekly. The divisions within a story such as A Few Crusted Characters (originally, Wessex Folk, March-June, 1891) are often the vestiges of such serial publication, the only indication to present-day readers of how these stories had their origins in Victorian popular culture. An important aspect of these stories that is not reproduced in modern volumes such as the New Wessex Edition of the Collected Stories of Thomas Hardy (Macmillan, 1988) is the seventy-seven original illustrations that accompanied, elaborated and commented upon some fifteen of them. Hardy's published letters are often silent about his relationship to the artists and their work, so that it is largely mere conjecture what role he played in the formulation of these pictures designed to accompany his texts in numerous illustrated magazines. Thomas Hardy's "The Three Strangers," first published in Longman's Magazine in March, 1883, was one of those Hardy stories that was not originally illustrated in periodical form. Of the 668 entries for criticism on the works of Thomas Hardy on the CD ROM version of the M. L. A. Annual Bibliography (1/81-6/30/91), only one concerns "The Three Strangers," and that considers various dramatic adaptations rather than the story itself. A similar difficulty in finding critical examinations of the story exists in the listings that Helmut E. Gerber and W. Eugene Davis provide for the story in Thomas Hardy: An Annotated Bibliography of Writings About Him (1871-1969). Of the thirteen articles written between the publication of the story in Wessex Tales (4 May 1888) and Wendell Harris's review of English short fiction in the nineteenth century (1968), four have concerned Hardy's 1892 one-act play, The Three Wayfarers and four have briefly reviewed all stories in the collection, saying little about "The Three Strangers." In his 1982 biography of Thomas Hardy, Michael Millgate terms the tale "a very tightly organized story in which the very considerable narrative excitement depends directly upon the integration of the plot with the precisely relevant circumstances of the period, setting, and characterization" (238). By 1887 Hardy had published "several stories of good quality — including 'The Distracted Young Preachier', 'Fellow-Townsmen', 'The Three Strangers', and 'Interlopers at the Knap' — which had at least their Wessex settings in common and, arguably, certain similarities of period, subject matter, treatment, and theme" (288). These Hardy offered to Frederick Macmillan as a collection entitled Wessex Tales, "published in two volumes at the same royalty of one-sixth the retail price as had earlier been agreed for the one-volume edition of The Woodlanders" (289). "In the spring of 1893 Hardy asked the Authors' Syndicate . . . to prepare typed copies of a one-act play, The Three Wayfarers, which he had just adapted from his short story 'The Three Strangers'" (333). Robert Gittings in The Older Hardy (1978) calls "The Three Strangers" "a grimly humorous little tale with almost perfect unity of setting and action" (34). The story's highly dramatic (even melodramatic) nature, its dialogue, its limited cast of strongly contrasting characters, and its single setting made it a natural for dramatic adaptation. Hardy began such a stage version, but did not immediately finish it. Then in 1893 James Barrie [the playwright who created Peter Pan] wrote to ask Hardy for a one-act play, to be produced in London with some others. Hardy took up the task again, adapting it as The Three Wayfarers, which The Times described as "unquestionably the best piece of the evening [in June, 1893]" (34). 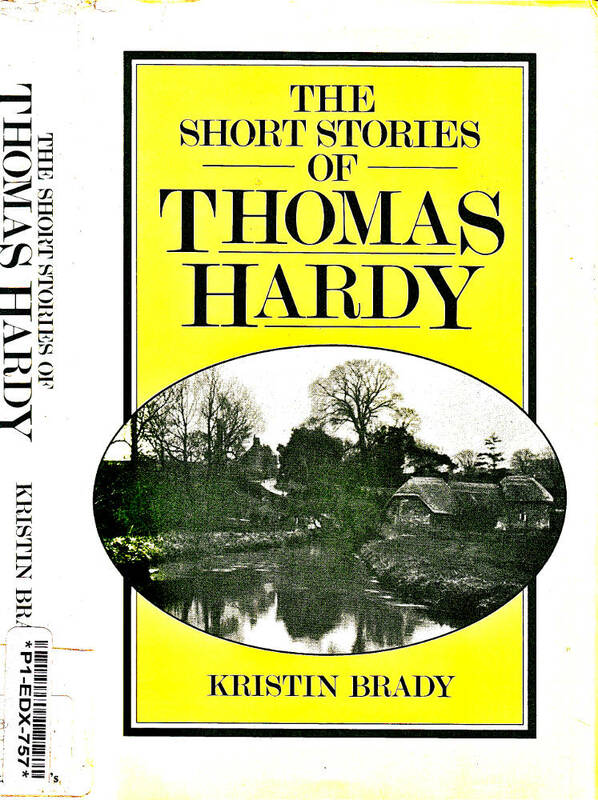 In The Short Stories of Thomas Hardy (1982) Kristin Brady points out that all the stories in Wessex Tales were written during the period of Hardy's life when he was 'frequently shifting residence from rural Dorset to London. Thus, he understood how his native county's people, culture, and landscape might be misunderstood by outsiders, and especially by urbanites. In Wessex Tales as in the 'Novels of Character and Environment', Hardy "counters this stereotypical image [of Hodge, the Dorsetshire labourer] by presenting a scrupulously observed picture of the rural world based on the actual particularities of his native Dorset. Each story embodies Hardy's personal understanding of his local past, and communicates that vision by a narrative technique that makes it accessible to the non-native. . . . ." Wessex Tales reflects in its narrative details the social, economic, and cultural diversity of Dorset life. Within a narrow range (for he presents neither aristocrats nor gentry), Hardy as a writer of the soil presents "a complex hierarchy, from the shepherds and artisans of 'The Three Strangers' to the relatively wealthy tradesmen of 'Fellow-Townsmen' . . ." (Brady 2). Brady notes that Hardy sets "The Three Strangers," like "The Withered Arm" and "The Distracted Preacher," in the 1820s and 1830s, a period of social unrest in England's agricultural districts. Prior to the Great Reform Bill (1832) the penalty for sheep-stealing was hanging. Brady describes the narrative voice of "The Three Strangers" as "authoritative" (89). Although the teller of the story is not explicitly identified, he exhibits the usual Hardy qualities of compassion for his characters, concern with historical accuracy, and "insistence upon portraying the rural world in such a way that its values can be understood by those who live outside it" (21). Like "The Distracted Preacher," "The Three Strangers" contrasts the artificial justice of the King's Law with the natural justice of the village. "'The Three Strangers' portrays the solidarity of the rural community in a tone that, despite light and even farcical moments, remains gravely sombre" (37). The pastoral surroundings and the humble shepherd's dwelling in "The Three Strangers" reveal the interrelationship between the character of the inhabitants and the character of their environment. Shepherd Fennel's "lonely cottage" on the downs is "an image of cosiness and domesticity" (42). In its primitive isolation, the house represents the values of simplicity, neighbourliness, endurance, and tradition. 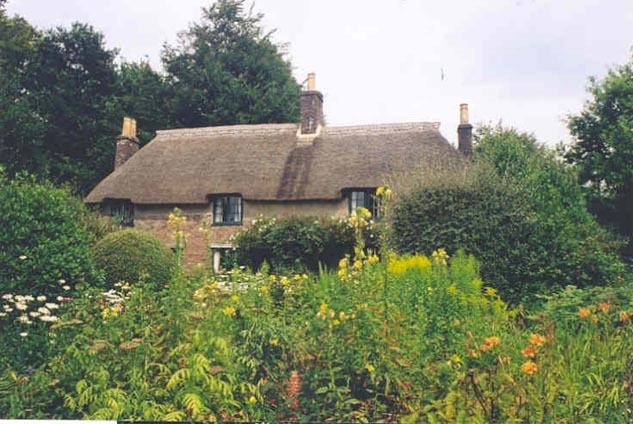 Hardy likely modelled the Fennels' extensive farm cottage on the house in which he himself was born in Higher Bockhampton; he also uses his birthplace as Mrs. Yeobright's cottage in The Return of the Native (1878). Hardy's based the allusive and erudite style in this early story upon that of the Victorian Novel's Sage, George Eliot (Mary Anne Evans), a successful novelist whom Hardy found worthy of emulation. Hardy's opening historical allusion to the fierce mediaeval battles of Senlac (Hastings) and Crecy (in which archery played a significant part) contrasts the indifferent antagonism of nature, epitomized by the "level rain-storm," with the deliberate and intentional inhumanity of man towards man. The quotations reveal Hardy's wide reading: "raze out the written troubles" comes from Shakespeare's Macbeth (V, iii, 42), and "circulus, cuius centrum diabolus" ("the circle whose centre is the Devil"), an apparent reference to Dante's Inferno and rites of witchcraft, comes from "The nature of God is a circle of which he the centre is" (the classical philosopher Empedocles, as quoted in Le Roman de la Rose and by Saint Bonaventura in Itinerarius Mentis in Deum, chapter five). "The fiddler was a boy of those parts, about twelve years of age" — as the writer himself was in 1852. Although there are some twenty-two characters present at the Fennels' cottage of Higher Crowstairs (nineteen having been invited for the christening party), the first and second strangers are the most clearly delineated. The two contrast one another, the latter being effusive, garrulous, and highly demonstrative, the former remaining in the shadow of the chimney corner. Hardy only momentarily leads readers to believe that the third stranger, "a picture of abject terror," is the prison escapee after concluding the first man's strange behaviour makes him the most likely suspect. In the subtitle of the first edition of Wessex Tales (May 1888) Hardy added "Strange, Lively, and Commonplace," suggesting the oral tradition behind these tales transmitted from generation to generation in rural Dorset. Hardy's intention as a teller of such traditional tales is to deliver both delight and instruction through their peculiar blend of the familiar and the fantastic. Remarks Hardy in his "Preface" to the Wessex Tales (May 1912), "in the neighbourhood of country-towns hanging matters used to form a large proportion of the local tradition." Hardy adds, for those looking for scrupulously geographical and temporal accuracy, that "the stories are but dreams, and not records." Hardy presents the story as legend, and Timothy Summers as a folk-hero, whose hobnobbing with and cheating of the hangman render him memorable in the lives the people. He represents, as James Roberts suggests in "Legend and Symbol in Hardy's 'The Three Strangers'," those "values the people look for . . . courage, resourcefulness, shrewdness, and composure" (192). 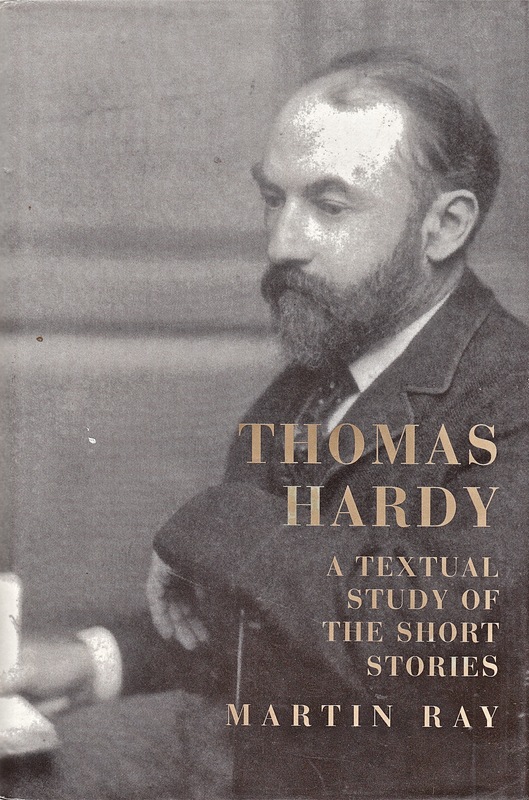 In short, Hardy creates a protagonist whose daring and resourcefulness render him worthy of emulation. 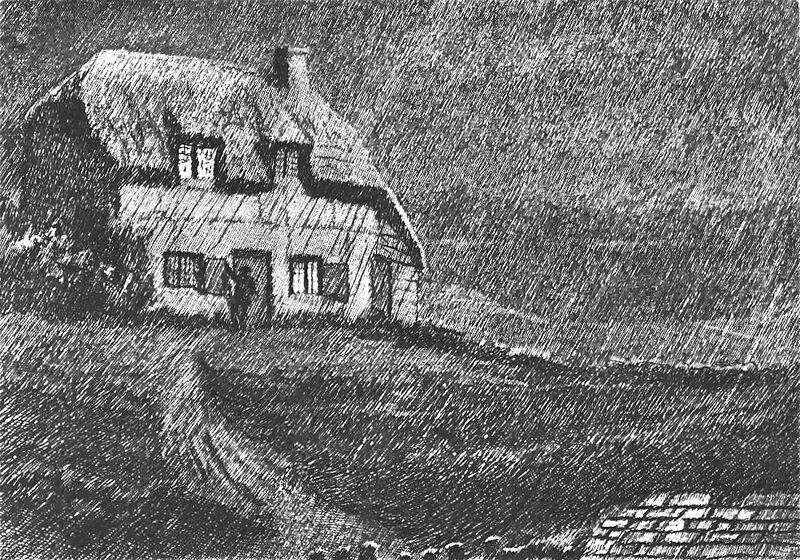 Relevant Illustrations and Photographs ​of Cottages from "A Thomas Hardy Gallery"
Tess Durbeyfield's Cottage at Marlott village, Dorset. Wessex Tales, 2 vols. (London: Macmillan, 1888), I, 1-54. Published at 12s. in an edition of 750 copies on 4 May, 1888. A bound manuscript of "The Three Strangers" is currently located in the Berg Collection of the New York Public Library. It is written on 33 leaves, with numerous deletions and additions, but compositors' surnames on eight of the leaves indicate that it was the printers' copy for the serial (see Purdy, p. 59). Hardy gave the MS. to Sydney Cockerell on 29 September 1911 to acknowledge his help in distributing his other MSS. among public collections. Bibliography for "Criticism of Hardy's Short Stories, 1982-2017"
"Books: Mr. Hardy's Wessex Stories." Spectator 61 (28 July 1888): 1037-38. Brady, Kristin. The Short Stories of Thomas Hardy. London: Macmillan, 1982. Gittings, Robert. The Older Hardy. London: Heinemann, 1978. Gordan, John D. "New in the Berg Collection: Thomas Hardy. Autograph Manuscript of 'The Three Strangers'." Bulletin of the New York Public Library 61 (July 1957): 356. Harris, Wendell V. "English Short Fiction in the 19th Century." Studies in Short Fiction 6 (Fall 1968): 47-49, 60, 92. Hornback, Bert G. The Metaphor of Chance: Vision and Technique in the Works of Thomas Hardy. Ohio U. P., 1971. Kay-Robinson, Denys. The Landscape of Thomas Hardy. Exeter, Devon: Webb and Bower, 1984. O'Connor, William Van. "Cosmic Irony in Hardy's 'The Three Strangers'." English Journal 47, 1 (May 1958): 248-254, 262. Page, Norman, "Hardy's Short Stories: A Reconsideration." Studies in Short Fiction11, 1 (Winter 1974): 75-84. Ray, Martin. Thomas Hardy: A Textual Study of the Short Stories. Aldershot, Hants: Ashgate, 1997. Roberts, James L. "Legend and Symbol in Hardy's 'The Three Strangers'." Nineteenth-Century Fiction 17, 2 (September 1962): 191-194.